Police said there have been seven burglaries in the past week at San Jose's Evergreen neighborhood. A rash of burglaries has a South Bay community living in fear. Police said there have been seven burglaries in the past week at San Jose's Evergreen neighborhood. At least one resident is now demanding more action from the city to prevent the crimes from happening again. "For my family, this is a really, really traumatizing experience," resident Swati Dol said. There was still shattered glass at the Dol's home on Friday after burglars ransacked the house earlier in the week. Dol's family hopes the wave of burglaries are not returning to Evergreen, which has been a hot spot for crooks over the last two years. "In your own home you feel insecure," Dol said. "That's a very bad feeling." Dol and his family would like to see more patrol cars in the area to prevent other families from being victimized. 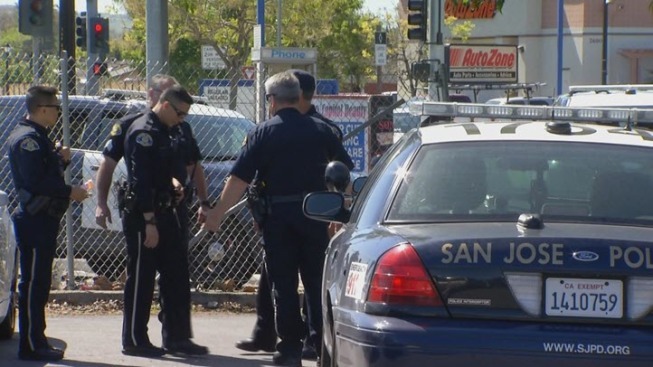 San Jose's understaffed police department said it is doing what it can with limited resources. Police officers on Friday tracked down a stolen car not far from Dol's home. Officers arrested four minors in connection to the stolen car. "Trying to get the kids off the streets and back to school where they belong," San Jose Police Lt. Rob Millard said.